April is almost here and with gloomy winter weather behind us, it’s time to brighten things up a bit. When it comes to redecorating a splash of color can do wonders for your home. Sure, you can always go with fifty different shades of gray and never worry about how it’s going to turn out. There’s nothing wrong with playing it safe. However, every once in a while you can step out of your comfort zone and dare to try something new. Give your home a makeover straight out of a fashion magazine. Think different, exciting and bold. To help guide you in the right direction, here are some suggestions which will make those creative juices flow. The kitchen is the perfect place to try out your bold color experiment. Transforming your neutral cooking space into an inviting and colorful area isn’t that difficult. Start by making your island a focal point of the room. Use a bold color of your choice to paint over your main countertop which will make it stand out from the rest of the furniture. A simple coat of paint will do the trick just fine. Before you start painting over, try a couple of varied shades first. It will help you visualize the final product and decide what looks best in the room. Combined with white cabinets, use pastel blue, coral pink or bright yellow. For dark wood floors, choose peacock blue, plum or magenta. For the gray tile floors opt for different shades of bright red color. Another way to introduce bold colors into your home is by decorating it with colorful textiles and furniture. If you’re looking for a more flexible solution, in case it turns out colors are not your thing, go with pillows, throws, curtains, and rugs. A colorful rug is the perfect detail for any neutral based room. It provides the right amount of color and it’s easily removable in case you decide to go back to basics. The same applies to the furniture. A bold color piece of furniture can tie up a whole room together. But limit the number of statement pieces to a few. You don’t want to over-do-it and create a circus. Depending on the room, choose the furniture that will have the biggest impact. For example, in the dining room focus on the seating. The dining table would be too much, but the seating really draws the eye and gives the room pleasing and inviting a sense of comfort. Since it’s difficult and not aesthetic to use a bold color on all four walls, accenting just one or two will have the right effect without taking over the entire room. Deciding to use bold colors requires some unconventional thinking when it comes to painting. So before you start, here are some useful tips from residential painters Sydney based company which successfully handled thousands of projects like this. Use a bold color to paint just one of the walls but for the maximum effect paint the ceiling as well. If you decide to combine two bold colors on one wall keep the furniture simple so that paint job could shine. If painting just one wall, cover the door as well. Paint only the door by using two tones thus creating a geometrical effect. Paint only a bottom half of the room but add a contrast color stripe which will make the two colors pop. Create a repeated pattern by using different shape stencils. For the truly glamorous effect, use the metallic paint to accent the details. Covering the entire wall would be too much. Stripes are always fun and easy to do. For the more dramatic effect use wider strips in a different shade of the wall color. Bold colors are perfect for different wall painting techniques like the brushed pearl, color washing or linen wave paint technique. Don’t be afraid to try something new. If you’re looking to make a statement a splash of color could really do wonders for your home. Experiment with tones, shades, and techniques until you find the one which suits you the most. You’ll have fun in the process and end up with a satisfying final result. 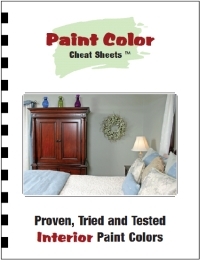 Tired of Choosing Paint Colors the Hard Way and Paying for Color Mistakes? Want a Faster and Easier Way to Find the Right Paint Color? 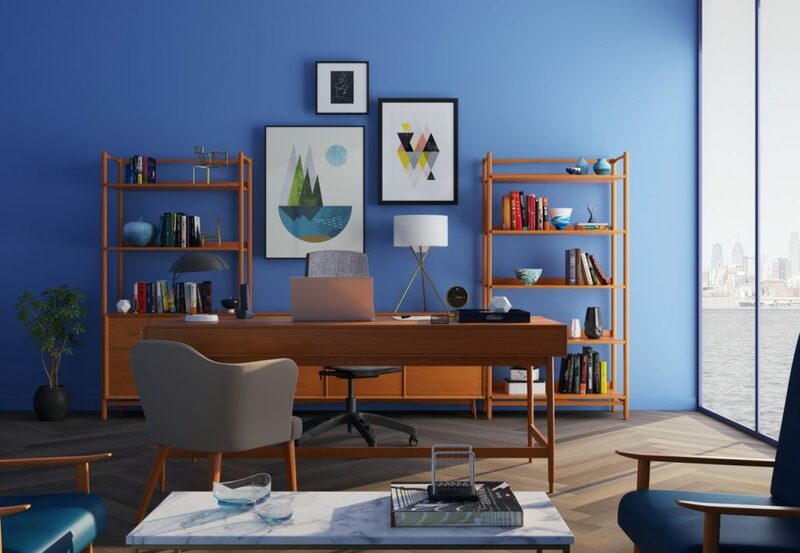 The best paint colors from Sherwin Williams – “Paint Color Cheat Sheets” – A great short-cut to finding a perfect paint color.